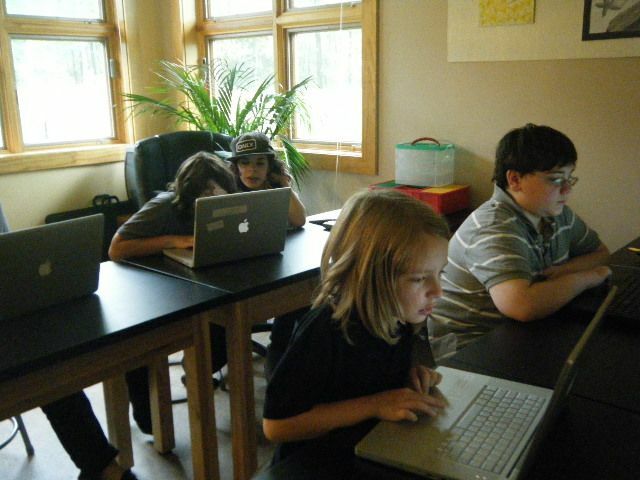 “The crucial turn for Shirky was this study that argues, as the title says, “Laptop multitasking hinders classroom learning for both users and nearby peers.” This article in the DML Central Website yesterday is so relevant to what we are struggling with at Birch today. This morning we had a community meeting to address Teacher concern about screen usage. Adults were observing students off-task and multi-tasking when using laptops for daily work; phones were being used in laps and hidden, to text, play games and watch videos. Lunchtime was dominated with mad rush to circle around the table to game together with Nintendo DS’s, ignoring the food in front of them. It had become a constant of our days, and not a positive, constructive one. At the community meeting the discussion was well received. Students expressed feelings of being left out of the gaming circles, and frustration that they were being distracted by others’ screen shenanigans. One student pointed out that in traditional school screens would not be allowed, and that everyone seemed to be “abusing the privilege” lately. 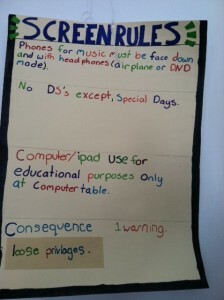 This led to a discussion of proper usage of screens at school and agreements about the rules. 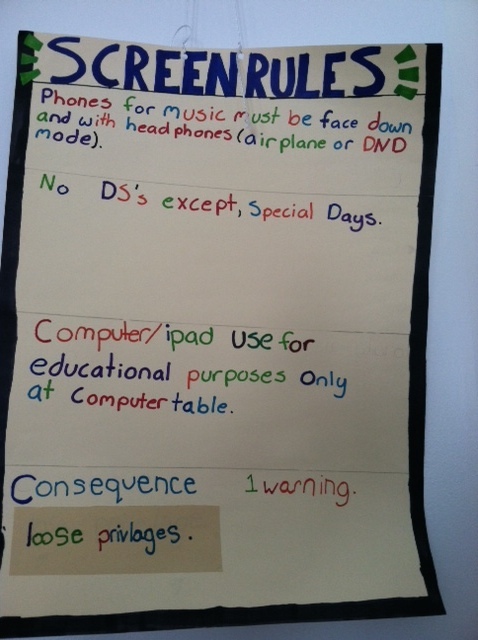 Consequences were discussed, with the consensus that everyone should get one reminder to stay on task, and if they return to abusing the privilege they would lose screens for a period of a day or a week. Everyone agreed and was comfortable with this agreement. Two students volunteered to write up the rules on a poster to hang in the commons. Wondering how it worked out? Today was a great day! At lunch kids played outside in the cold or stayed inside and played checkers, Mancala and Apples to Apples. Interesting and unusual combinations of students were playing different games together. So far, the effect of both the discussion and the limits on screens seems to be very positive!